Real Madrid's title hopes took a huge blow last night when they lost to Barcelona at the Bernabeu. Ivan Rakitic's goal was enough for the Catalan side to take all 3 points and extend their lead over Los Blancos to 12 points. “Two wins at the Bernabeu does boost confidence, but we had an even bigger lead last season in La Liga and Real Madrid showed they can still win titles by winning the Champions League” added the manager. 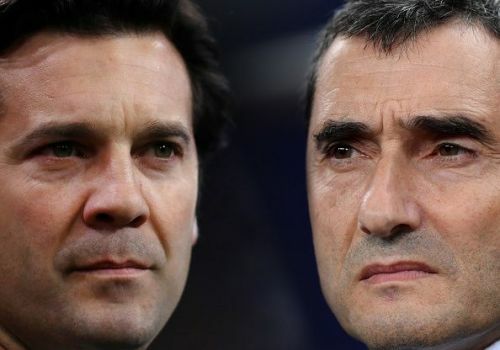 2 El Clasico losses in a week and Solari's job at the Bernabeu is in the balance. Real Madrid board is unhappy with the progress under the manager and have already picked his replacement according to reports in Spain. While Jose Mourinho is the hot favourite according to reports in France and the United Kingdon, it's Joachim Löw who the Madrid board are eyeing as per reports in Spain. The German manager still has a contract to manage the national team but Florentino Perez wants to bring him to Bernabeu in the summer. Real Madrid are in a lot of trouble on the pitch after losing 2 El Clasicos in a week. Things off the pitch are also not looking good as their top target is now on Barcelona's radar too. Reports in Spain suggest that Lionel Messi has asked the Catalan side to sign Nicolás Tagliafico as a backup to Jordi Alba. Madrid are looking to sign him as well with reports of Marcelo's possible move to Juventus in the summer.